Slovenia’s beauty is found not so much in its cities, but in its green countryside. 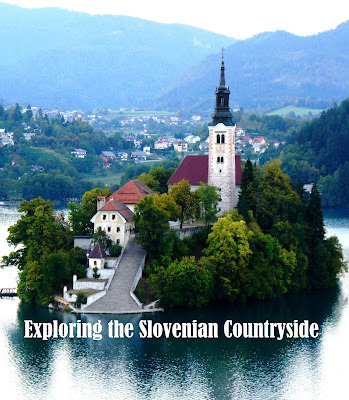 Slovenia has so many beautiful natural wonders, including a lake with an island church, a gorge with blue waters running through, enormous caves with dazzling rock formations, a castle built into the side of a mountain, and the gorgeous Julian Alps. 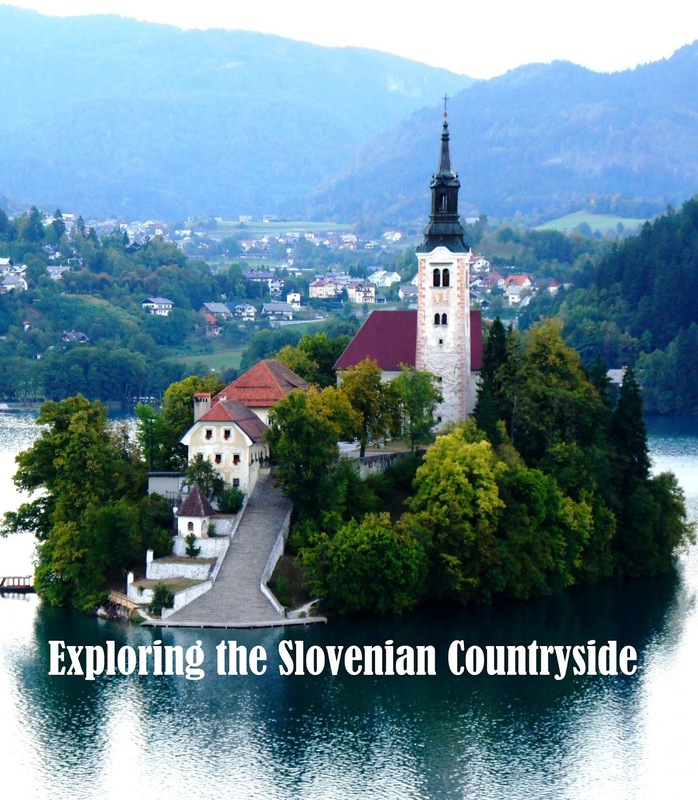 All of Slovenia’s countryside attractions can easily be visited in a series of road trips. My all-time favorite experience while we were traveling through Slovenia was taking an afternoon drive through the Julian Alps. We hadn’t even planned on taking the drive, but when we finished our tour of Ljubljana by noon with nothing else to do for the day, we decided to hop into the car and explore Slovenia’s north-western mountain range. Beautiful views on the way to the Julian Alps. Our self-guided tour through the Julian Alps started in Triglav National Park, where we began driving the 50 numbered hairpin turns of Vršič Pass. The first roadside stop is after turn eight, the Russian Chapel. Vršič Pass was built during World War I by over 10,000 Russian prisoners of war. The Russian Chapel was built at the location where hundreds of the Russian POWs were killed by an avalanche. Russian Chapel dedicated to Russian prisoners of war. Turn 24 marks the summit of Vršič Pass and provides stunning views of the valleys below. Heading back down the other side brings road trippers to turn 48 where there is a statue of Dr. Julius Kugy, and Italian botanist who studied the alpine flora. Near the end of Vršič Pass at turn 49 is the source of the Soča River. Lake Bled, a mountain resort near the base of the Julian Alps, is a picture perfect location with a lake, a castle on a cliff, and a church on an island. Start your day with a Cockta, the communist era’s version of a Coca-Cola, at one of the lakeside cafes before crossing the lake in one of the hand-built wooden pletna boats to Bled’s island, Otok. Ninety-nine steps lead up to the Church of Mary the Queen at the top of the island. Tradition has it that grooms must carry their brides up the 99 steps to prove they are fit for marriage. A young Japanese couple decided to try the tradition out while we were on the island. The lucky bride’s husband was successful in his feat. Inside the small church in front of the alter hangs the rope for the church bell. Legend has it that a young widow who lived in Bled Castle had a bell cast for the chapel from all her gold and silver. However, when the bell was being transported across the lake, the boat overturned and the bell sank to the bottom of the lake. This devastated the widow even more and she went to Rome to enter a convent. After her death the Pope donated a bell to the church. If you can ring the bell in honor of the Blessed Virgin and make a wish, your dreams will come true. Be sure to pull really, really hard. After visiting Otok island, walk around the lake to view the island from every angle and finish your visit at the top of the cliff with a visit to Bled Castle. Vintgar Gorge is a short drive north from Lake Bled and can be visited on the same day. Vintgar Gorge is created by the Radovna river cutting through the hills. The hike along Vintgar Gorge follows a series of boardwalks and trails hugging the steep slopes and crossing a series of small waterfalls. The hike continues to the end of the gorge marked by the 16 meter Šum waterfall. The Škocjan Caves are located in the southwest of Slovenia. The Škocjan Caves are one of two important cave systems that can be visited in Slovenia. We chose Škocjan Caves over Postojna Caves because the Postojna Caves are more touristy, getting five times more visitors a year, and not as far of a distance can be traveled in the Postojna Caves. The Škocjan Caves, a UNESCO World Natural Heritage Site, provide a fairly strenuous hike through a number of caves created by the underground Reka River, including a cave so tall a cruise ship could practically fit inside. North of the Škocjan Caves is Predjama Castle, a large white castle built into the side of a mountain. The first castle on the site was built in the 12th century. The castle was extremely safe because it was built into Postojna Cave and when under attack, residents could escape deep into the cave. Visitors can walk through the various rooms of the castle, scattered across six floors, walking along hallways and up and down stairs, and even enter part of the cave itself. It is very easy to get lost within Predjama Castle. 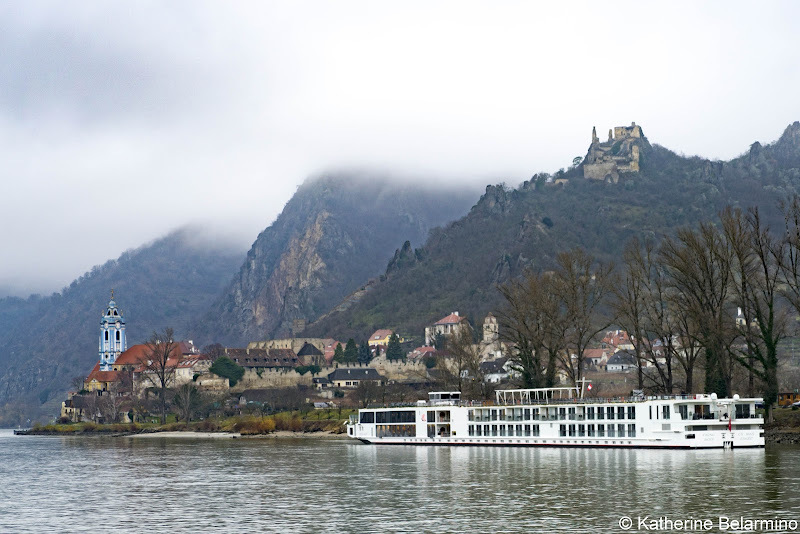 Our four nights in Slovenia provided us with just enough time to visit Slovenia’s capital city Ljubljana and the seaside town of Piran as well as explore Slovenia’s countryside, including the Julian Alps, Lake Bled, Vintgar Gorge, Škocjan Caves, and Predjama Castle. There are just so many beautiful things to see in the small country of Slovenia. 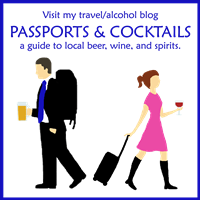 I planned our Slovenia travels using Rick Steves' Croatia & Slovenia. This post contains affiliate links. 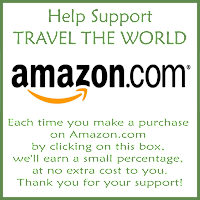 If you purchase or book through them you pay nothing extra and they help fund our travels so we can bring you more travel stories.